Exceptional Georgian Colonial in the Grange! This gracious home sits on over one flat acre of park-like grounds, complete with modern in-ground pool with Jacuzzi/electric cover and deco tennis court surrounded by beautiful stone wall. This amazing yard is completely fenced and boasts exquisite perennial plantings, walls of mature evergreens and an accessory building/office/gym with heat and air conditioning. Custom yard lighting.This elegant home has a bright, sunny interior with the perfect flow for today's modern family. Large eat-in kitchen with access to patio, large adjoining family room with wall of windows and rustic fireplace. Large, bright master bedroom with walk-in closet, marble bathroom with Jacuzzi tub.Three bedrooms, two baths, large study/office/bedroom with bath, balcony overlooking the yard complete the second floor. Garage can accommodate three cars. Square footage includes 460 in accessory building. 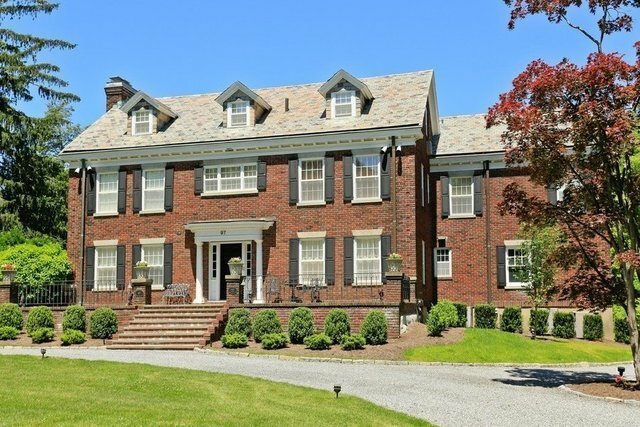 A fantastic opportunity to own one of Scarsdale's premier properties!